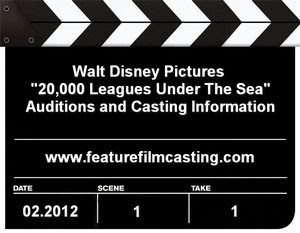 Disney’s “20,000 Leagues Under The Sea” is set to shoot February, 2012. Disney auditions will begin soon on the modern film adaptation of the classic science fiction novel “20,000 Leagues Under The Sea” by French writer Jules Verne. Shooting is scheduled to begin in February, 2012. 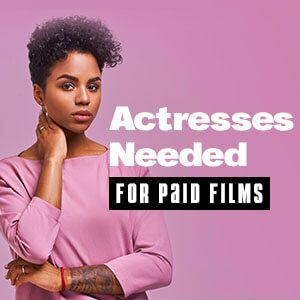 All of the film’s roles are up for grabs, including starring, co-starring, and supporting roles. This adaptation is not to be confused with producer Ridley Scott’s project in development at 20th Century Fox. Two-time Academy Award nominee David Fincher will direct “20,000 Leagues Under The Sea” from a screenplay written by Andrew Kevin Walker. Fincher and Walker first collaborated on the blockbuster hit “Se7en” in 1995. That film – which starred Brad Pitt, Gwyneth Paltrow, and Morgan Freeman – cost $33 million to make and grossed over $350 million at the box office, also earning two Oscar nominations. Fincher’s other directorial credits include “The Game,” “Panic Room,” “The Social Network,” and the upcoming “The Girl With the Dragon Tattoo”. “20,000 Leagues Under The Sea” will be filmed in 3D with quite a bit of CGI and a lot of motion capture work. President of Production for Walt Disney Studios and three-time primetime Emmy Award nominee Sean Bailey will oversee production for the studio. Bailey formed the Disney production banner Idealogy Inc., which produced “Tron: Legacy”. Brigham Taylor, who served as Production Executive on “Tron: Legacy”, will likely hold the same position on “20,000 Leagues Under The Sea”. Taylor is Executive VP of Production and Development for Walt Disney Pictures. John Brooks Klingenbeck will executive produce for Red Hill Entertainment. In addition to Ridley Scott’s incarnation of 20,000 Leagues at Twentieth Century Fox, Sam Raimi also is working on making his own version of the title originally set up at New Line. David Fincher was lined up to direct that project for Raimi, but when McG left the Disney version, Fincher departed the New Line project and subsequently signed on to direct Disney’s film. Fincher’s next movie will hit theaters on on December 21, 2011 and is titled “The Girl with the Dragon Tattoo” starring Rooney Mara, who also starred in Fincher’s “The Social Network”. The story begins with the mystery of an underwater “beast” that has been stalking boats, taking bites out of them, and leaving them to sink to the bottom of the sea. Ned, is reluctantly recruited by an old army buddy to hunt the beast. He’s joined by Aronnax, a scientist and Julie. They go out looking for this beast and eventually find it. But the beast is not a beast at all – it’s a super tricked out mega submarine called “The Nautilus,” captained by Nemo, who takes them captive and brings them back to a secret Volcano City. There they learn that Nemo is searching for a lost underwater civilization that holds libraries of vast knowledge and a weapon with the power to destroy mankind.